It’s that time of year! Take home a current machine at a discounted price. We are bringing in all new BERNINA machines for our classroom space. You know what that means? 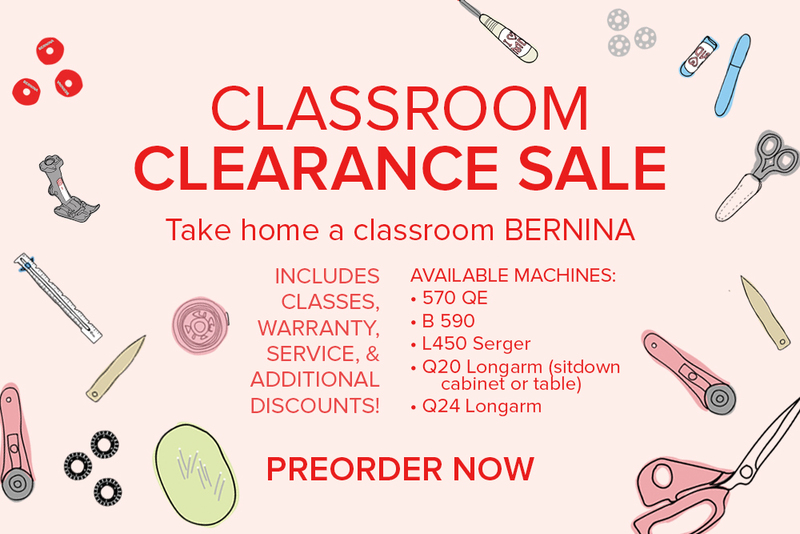 All current classroom BERNINA sewing machines are now available for preorder! Now is a great time to take home a BERNINA! Our current floor model BERNINA’S are available for purchase, which means big savings on current machines through May 31. Address: 422 NE Alberta St.
Map your trip to Alberta MD. Map your trip to Lake Oswego MD. Modern Domestic is an authorized BERNINA Excellence Dealer.